Today is brought to you by iced turtle coffee. Whether I’m working as a writer or an editor, I appreciate people who are professional in their interactions. In fact, I seek to work with people who are professionals. 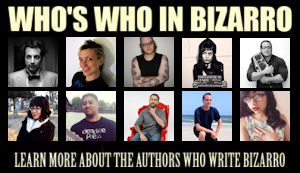 If I interact with other professionals, be they other writers, editors, graphic designers, book designers, agents, etc., and they behave unprofessionally, I’m less likely to work with them. Unprofessional behavior is a yellow flag; sometimes even a red one. I’m not alone in this–when I talk to other artists or publishing professionals, they tell me they want to work with people who behave professionally. Does this mean I don’t relax protocols once I’ve developed a relationship with other professionals? Depending on our relationship, I may totally relax–absolutely. But I still treat these people with the respect they deserve; this is still a professional relationship. Besides, it’s the right thing to do. There’s a lot of different skills that go into behaving like a professional. Over the next weeks, I’m going to address some of these skills. Today we’re going to talk about cover letters. Cover letters are a short introduction to your work, and an editor’s first impression of you. Cover letters include a salutation where you address the editor or editors by name, an invitation for the editor to consider your work, and your past publications. Ensure you address your cover letter to the appropriate editor, and spell the editor’s name correctly. Not only do you not want to annoy the editor who’s going to consider your story for publication, you also don’t want the editor to take your manuscript less seriously because your cover letter was not detail-oriented. Remember, you’re making a first impression with this letter, and you want to make a good one. After you address the editor in your salutation, invite the editor to consider your story. You may do this by writing, “Please consider my short story ‘Planet of the Monkey Whompers’ for publication.” Another variation I’ve seen: “Please find my attached short story, ‘Planet of the Monkey Whompers. '” After this invitation, you may choose to include your story’s word count. If you’ve had some previous publications you’d like to share with the editor, include them in a new paragraph. Do not list your whole bibliography; list only a few of your best publications if you have more than, say, three. If you’ve attended a prestigious writer’s workshop, MFA program or are a member of a professional artistic organization with some clout, you may also choose to list these in this paragraph. Such details may result in editors giving your story additional consideration. Sign off with a pleasant, “Thank you for your consideration,” “Sincerely,” “Thank you,” or other appropriate sentiment. Finish your letter with your legal name. Below are two examples of cover letters. One is the quick and easy version, the other is more elaborate. Please consider my attached short story “I Fight the Crimefighters of Uranus” for publication. 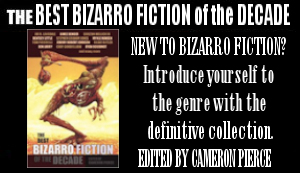 My fiction has previously appeared in The Magazine of Bizarro Fiction, Unicorn Knife Fight and The Drabblecast. Please consider my attached short story “I Fight the Crimefighters of Uranus” for publication. It is 4,500 words long. 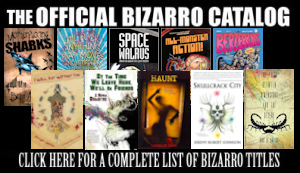 I am a graduate of the Iowa Writers’ Workshop and my fiction has appeared in The Magazine of Bizarro Fiction, Unicorn Knife Fight and The Drabblecast. If you have any questions, please post them in the comments below. If you’re a musician, visual artist, filmmaker or other type of artist, I’d love it if you’d share your discipline’s equivalent to a cover letter. I’d also love to hear everyone’s thoughts on presenting themselves as professionals. 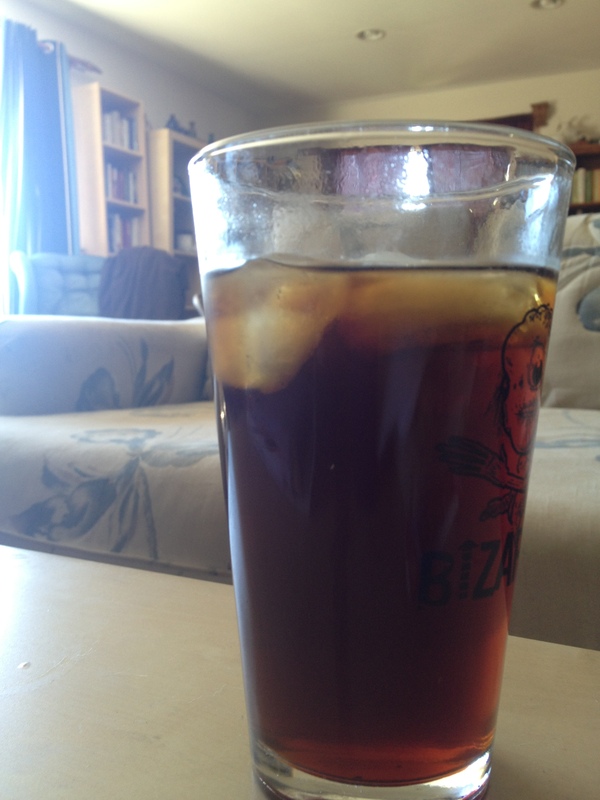 This entry was posted on September 2, 2013 by spikemarlowe. It was filed under Writing Advice and was tagged with cover letters, spike marlowe, submission letters, The Tea House.